The concept of Non Riservato has born in 2011, when Ex-Voto organized a series of meetings related to sharing culture and social regeneration. They wanted to offer an entertaining and sustainable way out of social isolation and frustration. In few months after the official launch on May 2013, twenty-two subjects joined the network, all acting in public spaces and sharing the same will to link public and private sphere using common spaces as a medium to increase community participation. The common goal of all the partners is to give back to public open spaces their key role in bringing communities together. 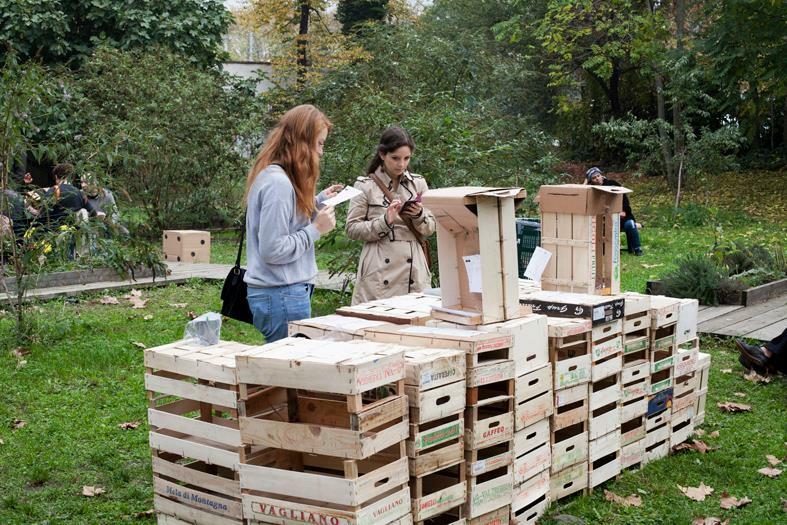 Culture, creativity, arts, design, urban games, food, handcraft and many others are the tools that Non Riservato’s events involve in improving quality of city life in Milan. Another important aim of the project is to foster cooperation between partners, in real world as well as on line through the dedicated platform. The first official event made by Non Riservato was called “Non essere Riservato. Fallo in pubblico!” and provided for several activities such as a workshops, concerts, projections of videos and many others participatory practicies. The main promoters of Non Riservato are the members of Ex-Voto, Milanese cultural association that wanted to create a map of all the activities of social regeneration and urban participation in Milan. They founded Non Riservato with twenty-two other subjects and through the contribution of the Municipality of Milan. All the promoters organize activities all around the city to increase community participation in public decisions and Non Riservato creates a network and promotes the collaboration between the partners in realising their project. Non Riservato is basically an online and offline platform that can be used cy citizens of Milan for discovering projects and activities in the city. All the partners have to communicate and to collaborate to organize common events and to avoid overlapping. They all refer to Non Riservato, who is the main service provider, but at the same time they are providers of their own participatory activities. All the partners are clearly present in the platform, proving that they play an active role in the initiatives; they do not just communicate decisions. All the activities are focus on regenerating neighbourhoods and open public spaces through social innovation and involvement, and some of the associations work in the field of service design and communication. Non Riservato is a powerful double example of design for services: from one side it offers to people a tool, a guide and a diary to let them feel part of the community; on the other side it provides a space and a way for association to promote themselves, promote their projects and find valid collaborators for their work.